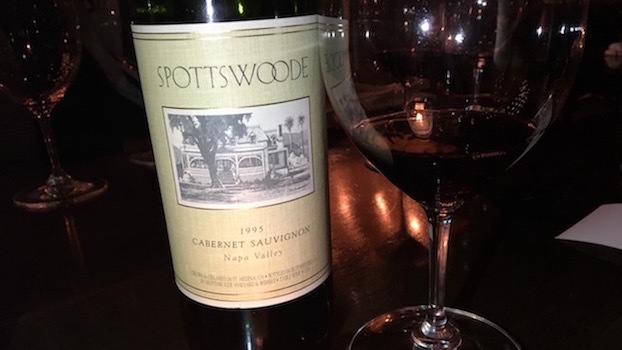 Spottswoode’s 1995 Cabernet Sauvignon is a fabulous choice for drinking now and over the next handful of years. Sensual and intensely perfumed, but with plenty of underlying grip, the 1995 is super-expressive today. Sweet red cherry, plum, hard candy, mint and crushed flowers are all fused together. Silky and soft contours add to the wine’s considerable appeal. The 1995 is a decidedly ripe, open-knit, yet also deceptively mid-weight Cabernet from Spottswoode that should continue to age gracefully on its impeccable balance. 92/Drink 2016-2022.